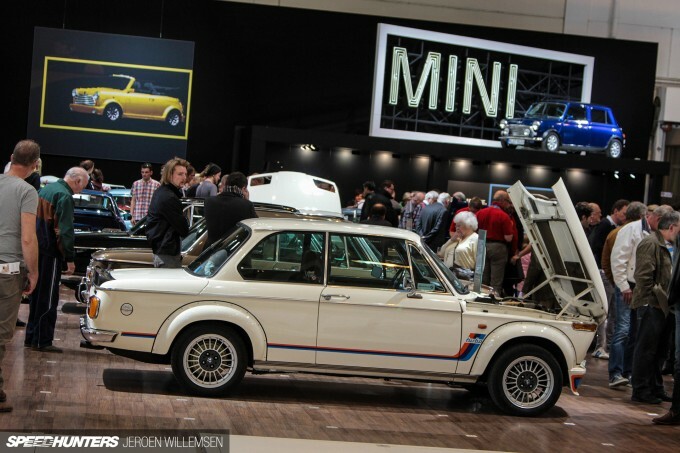 Arguably the world’s largest vehicle fair, the Techno-Classica in Essen, Germany, is an automotive mecca for enthusiasts who shun the modern world of traction control, ECUs and airbags. This year’s event, held last weekend, attracted 2,500 classics just in the for sale section alone – which gives you an idea of just how big it really is. 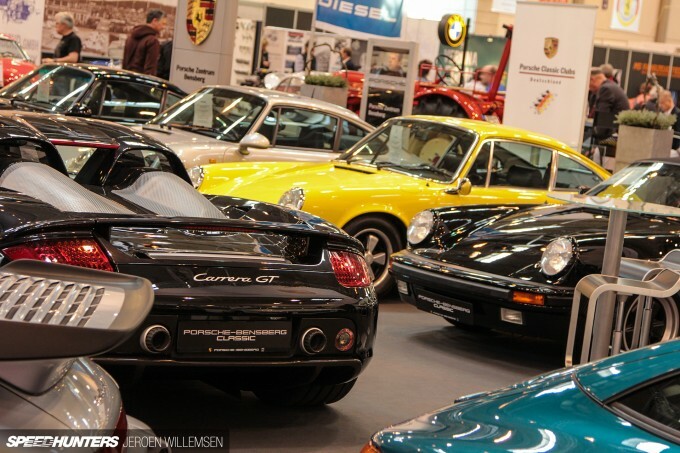 Picking up a new vintage Porsche or Merc is only one thing to do at Essen though. The show halls also play host to some of the most amazing and desirable machines ever assembled. 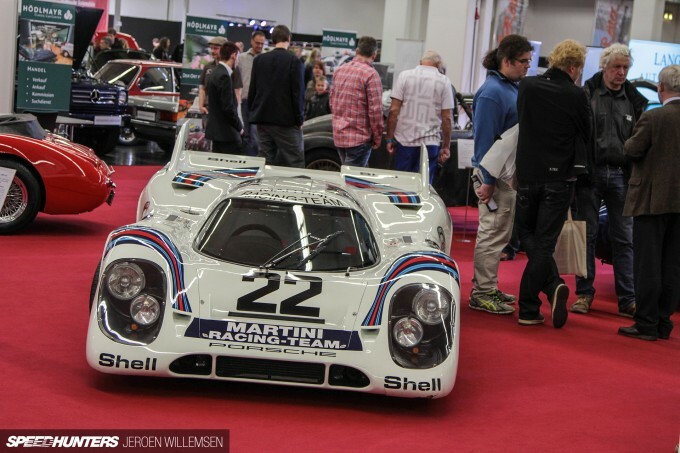 German automakers understand the importance of catering to the Techno-Classica audience, and the big three – Volkswagen Group, Mercedes-Benz and BMW – even have their own hall. Every year they come up with a certain theme and display a selection of their cars pulled from their museums. Besides the manufacturers you have individuals, classic car dealers and auction houses showing off and in some cases offering for sale their prized possessions. 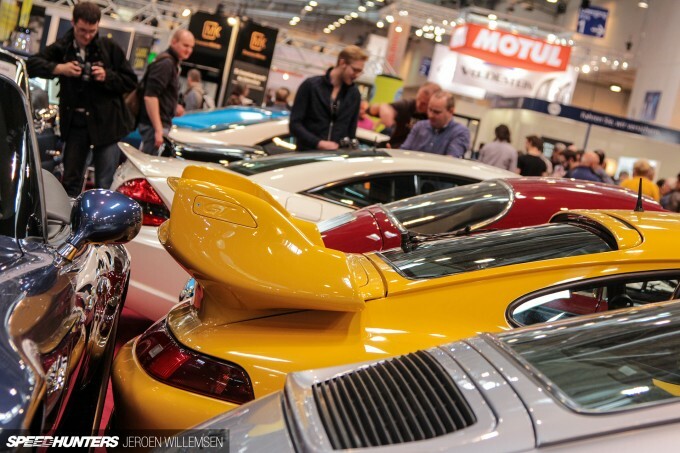 Even though Messe Essen is huge, space is at a premium, so many of the cars are packed in, making it hard to photograph or enjoy the bigger picture. But I tried and capture some of the best I found at the show, both inside and outside of the expansive halls. 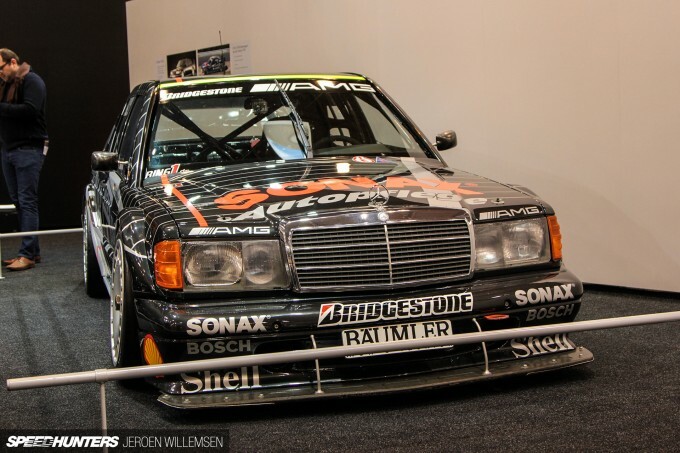 Mercedes-Benz focused on their aerodynamic designs and had this 190E Evolution II DTM race car from the 1992 season on show. 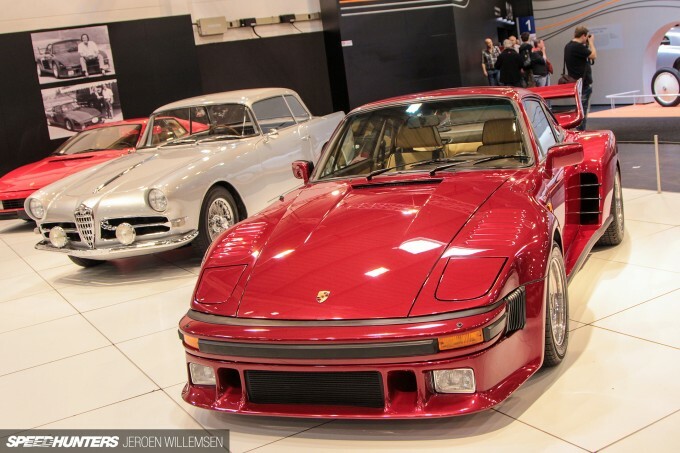 From museum pieces to racing shells that are for sale, this Porsche 924 Carrera GT was actually sold at the event. The lucky new owner will complete the build and run it in endurance races. Besides the classic metal, some manufacturers brought out their big guns. 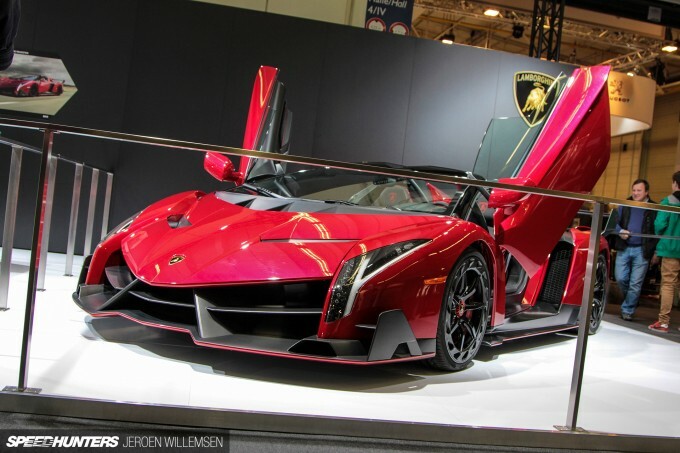 In the massive hall where the Volkswagen Group displayed their different brands was this Lamborghini Veneno. From certain angles it looks more like a spaceship ready for take-off. Ferrari enthusiasts weren’t left out either. Two of the biggest Ferrari clubs in Germany asked their members to bring some of their cars out of storage for the event. During the day I made my way outside where even more cars were parked. When I was talking to some friends we heard a howling V12 coming our way, which turned out to be this white on white Lamborghini Aventador. If you needed any more proof that some of the stands were overcrowded with cars, a sight like this should paint the picture. In between the factory-perfect restorations and museum pieces, I also came across this: a long forgotten Porsche 911 HLS. It was built by the University of Aachen after Porsche asked them to make a racing coupe with a folding roof. It wasn’t a great success and seemed destined to end up in the shredder – but that never happened. 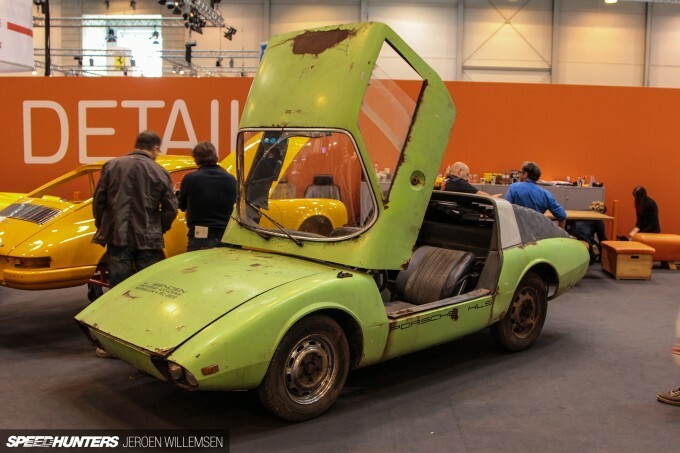 Instead, it was parked up outside and forgotten for almost 40 years. Now that it’s been rediscovered the owner wants to rebuild it to its former glory. 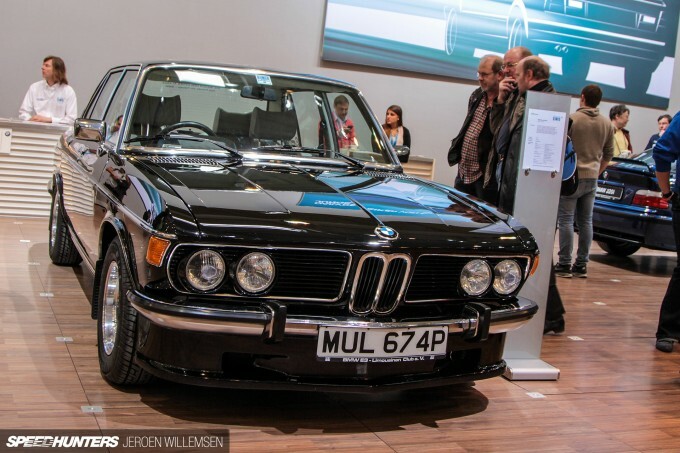 BMW only brought out a small selection of their own cars – the balance of machinery on display belonging to private owners who were personally invited by the German manufacturer. One of the center pieces of the official display was this BMW 507. 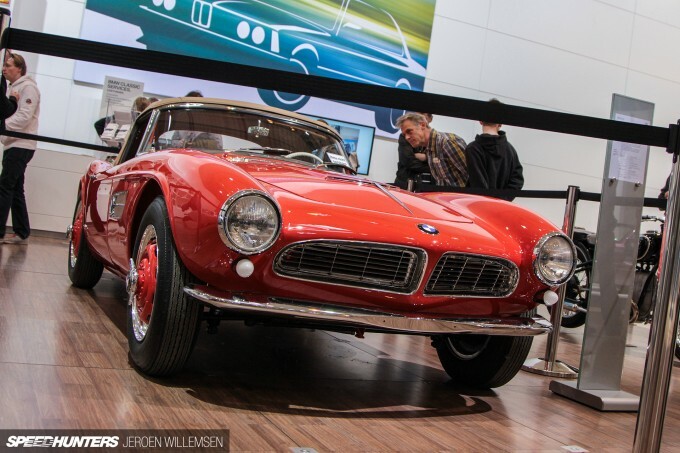 It’s a true sportscar from the late 50’s and regarded as one of the best-looking cars BMW has ever built. This actual car competed in the Mille Miglia but unfortunately never completed the race. You might think this car still needs primer and eventually a color, but it’s actually a BMW 2800CS made from stainless steel, called the Remanit. 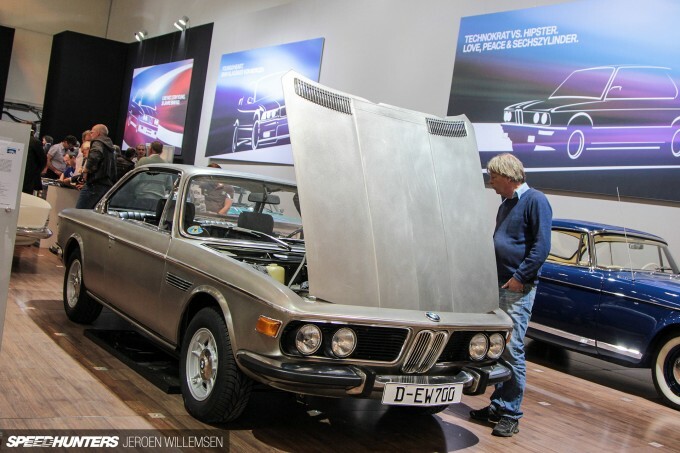 With this prototype model BMW wanted to show that cars could be built from various types of metal, but in the end it was deemed too expensive and the idea was shelved. 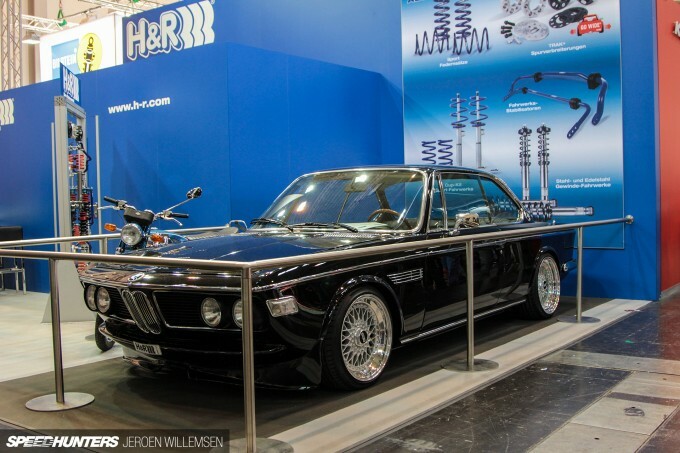 One of the few cars that I found that wasn’t restored to manufacturer specification was this BMW E9. 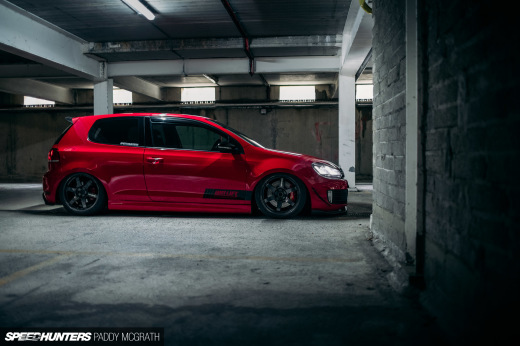 It looked stunning lowered on a set of BBS RS wheels. But on the other hand, it was just as refreshing to see cars that were totally standard. 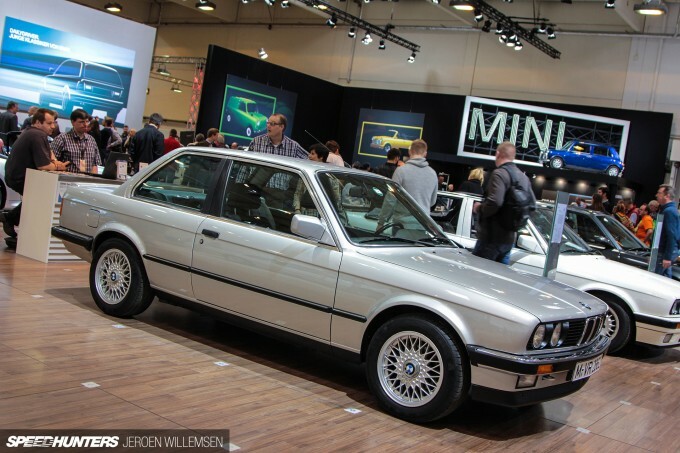 I almost forgot how good a BMW E30 looked from the factory. 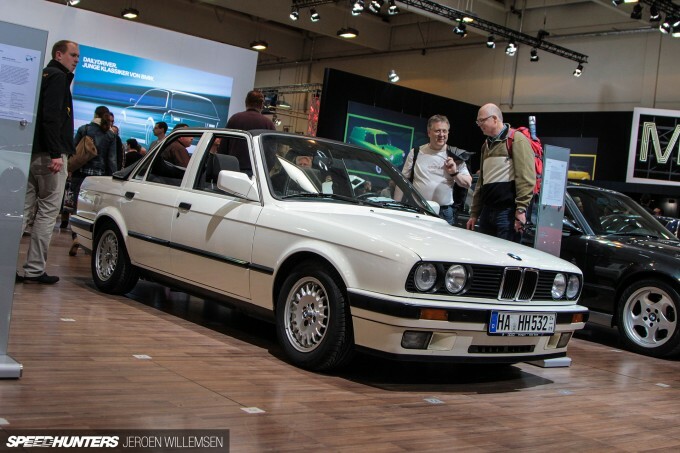 Baur is a company that made an E30 convertible even before the factory did, and them sold them through BMW dealerships. 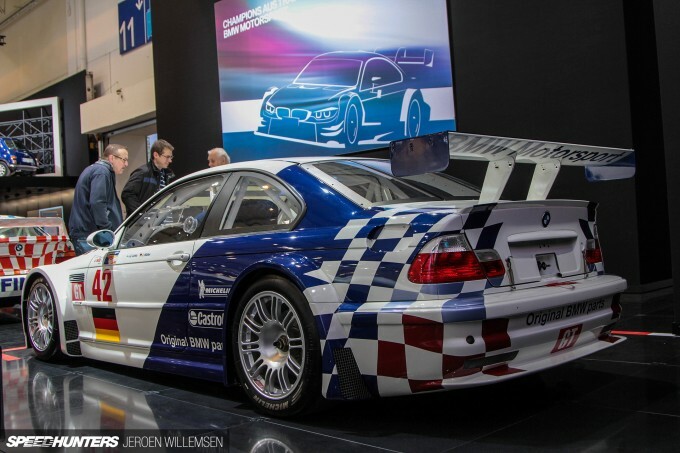 This version being displayed on the BMW stand is a four-door prototype presented by the Baur TC Club. Another stand-out was this immaculate BMW 2002 Turbo. I love the classic lines of this performance icon. 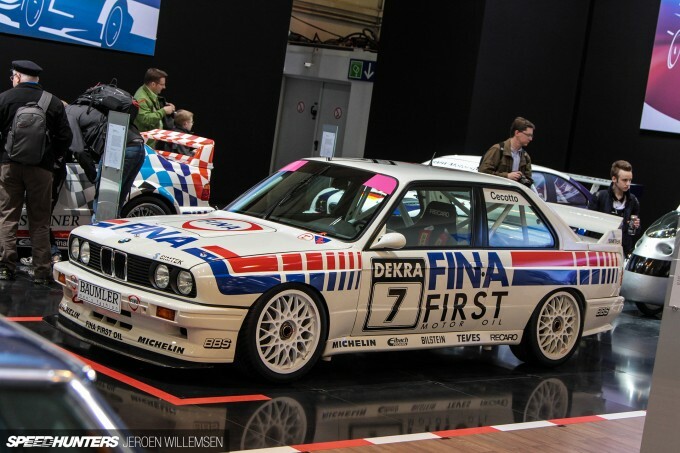 You can definitely see the bloodline in this E30 M3 Group A DTM 2.5 from the 1992 series. 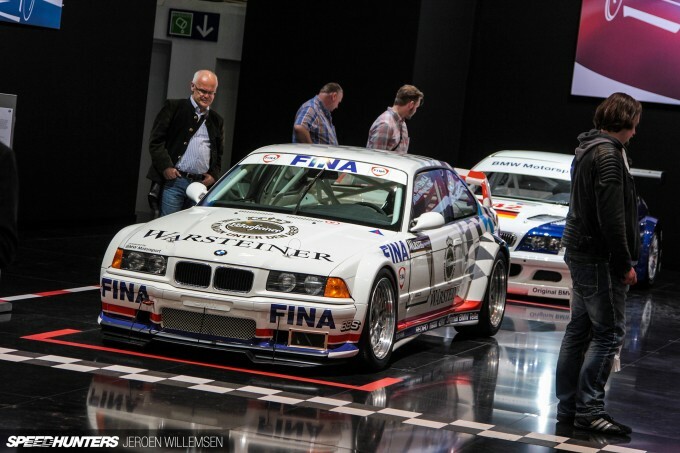 In 1993 BMW decided to enter the new ADAC-GT Cup with this M3 GTR. From this point on the cars only got wider. 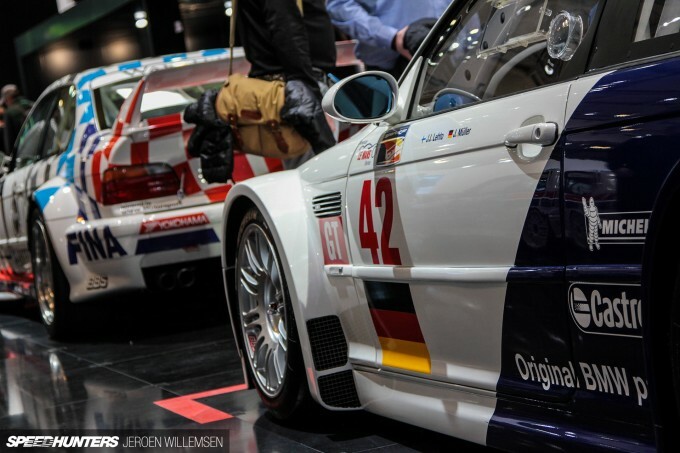 Case in point is this BMW M3 GTR from 2001 made famous by Jörg Müller and J.J. Lehto. I’ll finish up the BMW selection back on the streets with this BMW 3.0Si all the way from the UK. I still find it fascinating that a manufacturer like BMW invites their customers to present their cars at an event like this. It’s such a cool way to show your appreciation to the people that support your brand. 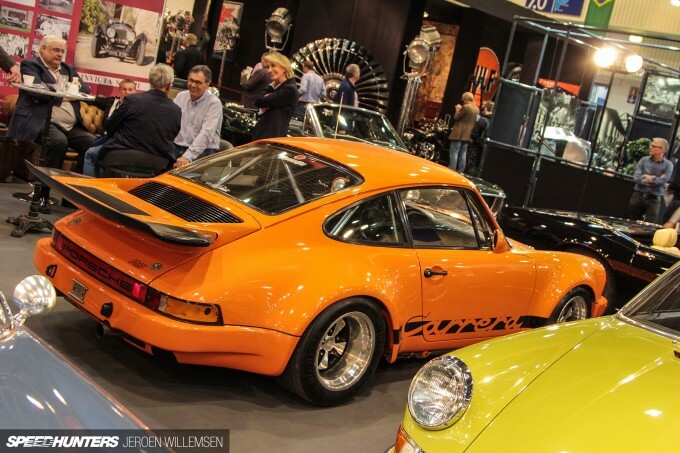 Last year Magnus Walker showed up at the Porsche stand after being invited by the factory. 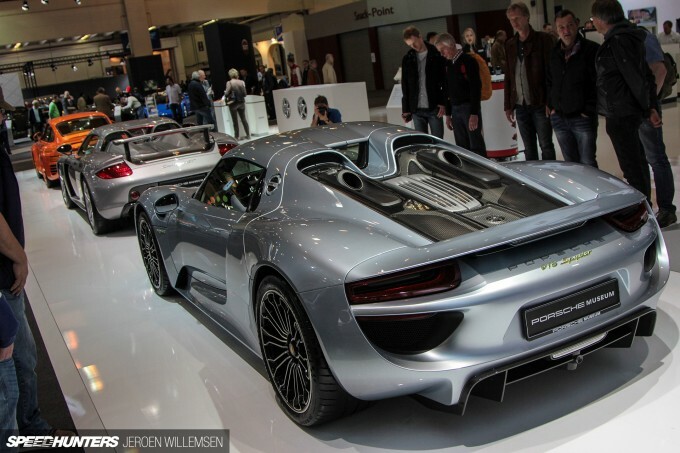 This year Porsche let the cars do the talking, and with a line-up like this they had no problem entertaining the crowd. Extra attention was given to the after-sales possibilities. 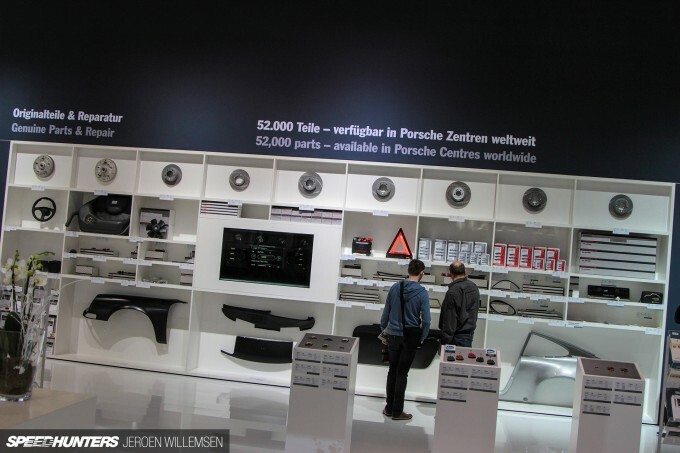 And with 52,000 parts available in Porsche’s catalogue, I’m sure you will find what you are looking for. 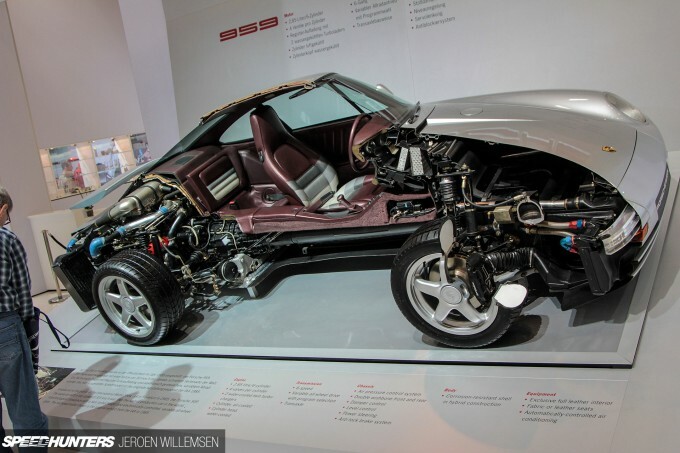 This Porsche 959 had been built for a Qatari Sheikh – one of seven he ordered. Apparently he had good taste in cars but a horrible style of fashion, and others were painted in Sahara Beige, Royal Blue and Silk Green. Being the only example in existence with an electric sliding roof in the hardtop attachment, this 356 is pretty special. 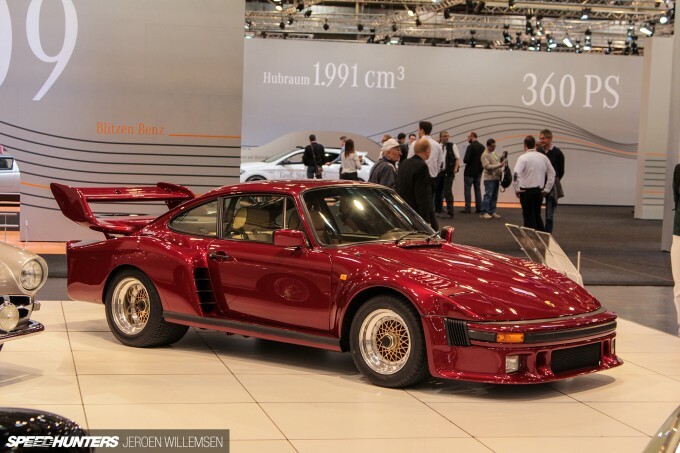 It’s being brought back to its former glory by Porsche Classic. But there were more special Porsches to be found too. 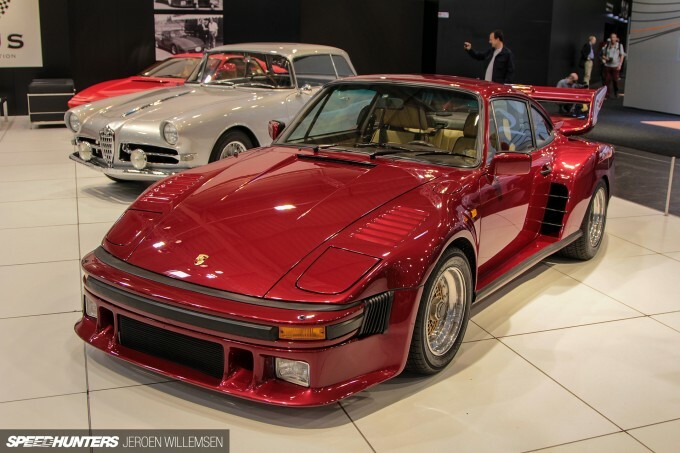 One of the classic car dealers had this 1983 Porsche 935 in street guise for sale. 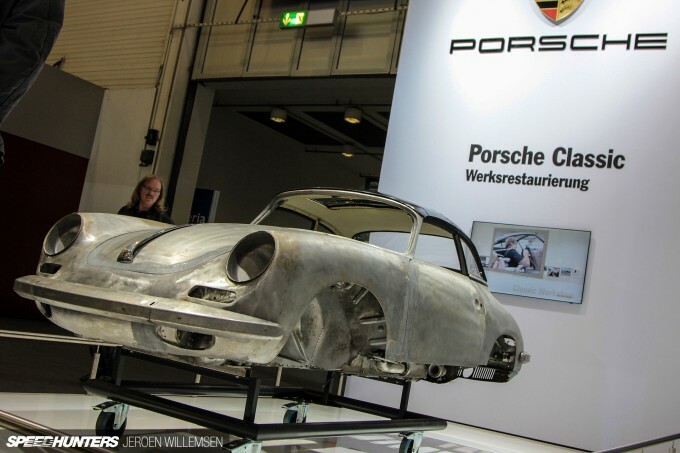 It was commissioned by Mansour Ojjeh and was the first car built by the Porsche Exclusive Department at the factory. It features a 3.3-liter competition engine with 380hp and 490Nm, and was once owned by well-known race team owner John Mecom. Now that it’s been mechanically and cosmetically restored to concours level it will be put up for sale. 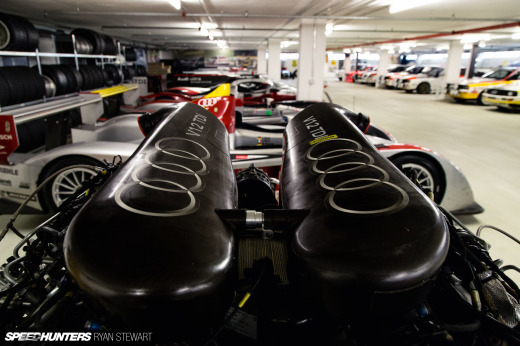 From a road car ready for the racetrack to a race car ready for the road. This road-going replica of the Porsche 917K has been built with all the right parts and could be considered the real deal. How cool would it be to drive this thing on the streets? 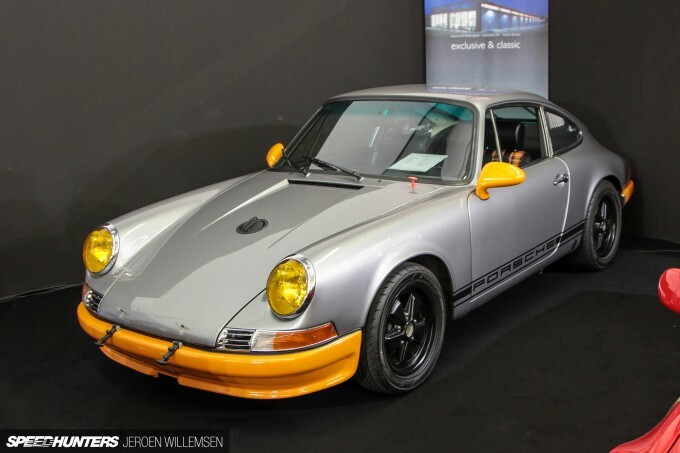 A Porsche 911 with a hint of Magnus Walker? That’s the first thing that crossed by mind when I saw this car tucked away in a corner. It certainly looks like a fun weekend toy! Outside there were even more Porsches – and some really good examples. 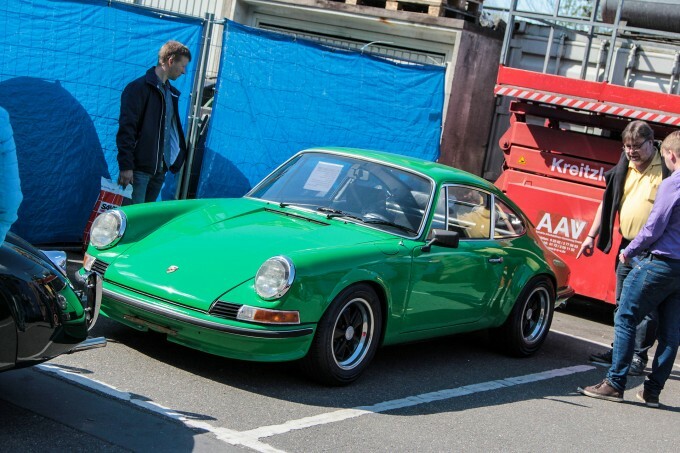 This 911 T could be yours for 79,500 euro. I’m going to finish things up with this teaser shot for an upcoming Spotlight. My favorite German Porsche tuner is DP Motorsport, and they are responsible for both of these 911s. Check back soon to see why the red car was my favorite Porsche of the show. Could you throw up some more images of the DTM cars? That's motorsports history right there. 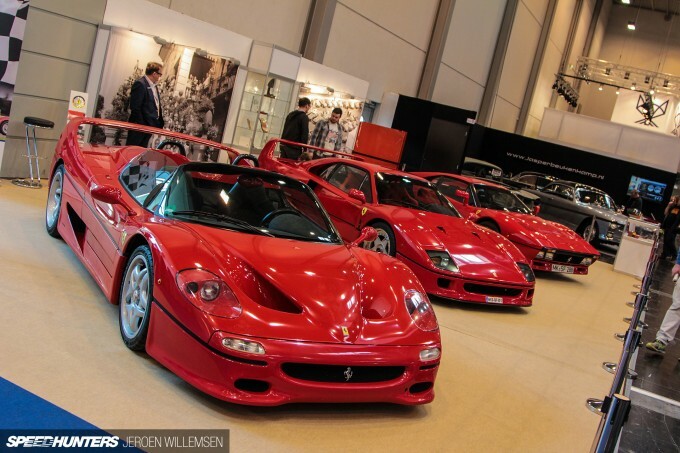 Oh jesus christ, those three Ferraris.. The 288GTO is the greatest car they ever made. I mean the sheer brutality is oozing from a mile away. 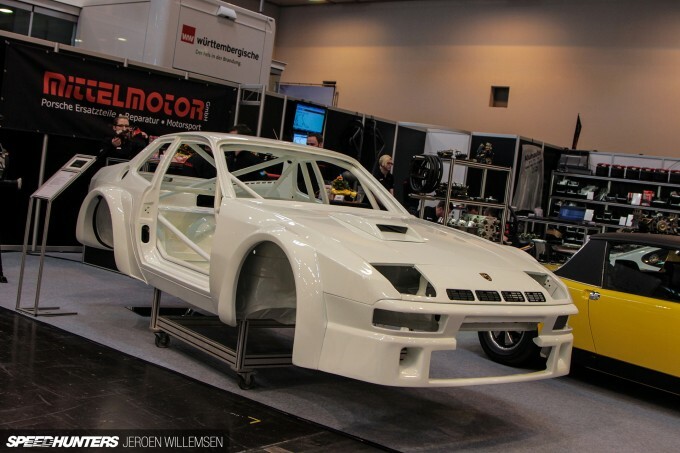 Jeroen Willemsen making a comeback at Speedhunters? Is this a one time thing or are you back for good? Always liked your articles! 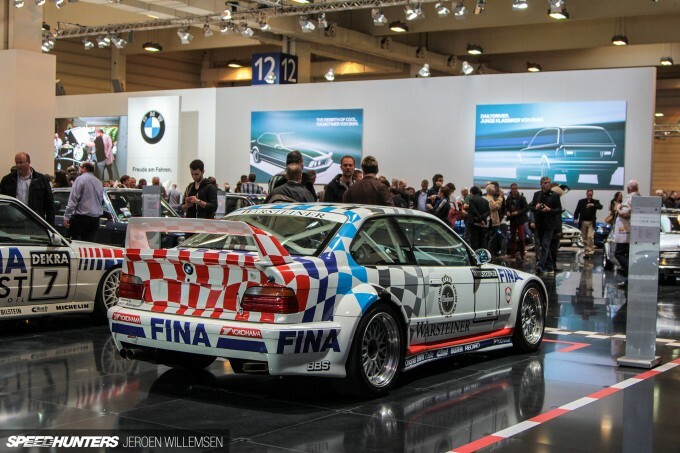 it's a shame there isn't a better picture of the Muller BMW, my eyes lit up when i saw that year of BMW, shame it can't go on my desktop, shame, shame, shame. Great coverage and amazing cars! With todays parts and such, that would be an interesting build. Please say you'll bring some coverage of that or is there a link to where I can follow it. I love it, can't wait for the spotlight on the Porsche! Dat 924. I know of someone that can get a hold on something like that. I like that silver giulietta, it's beautiful. 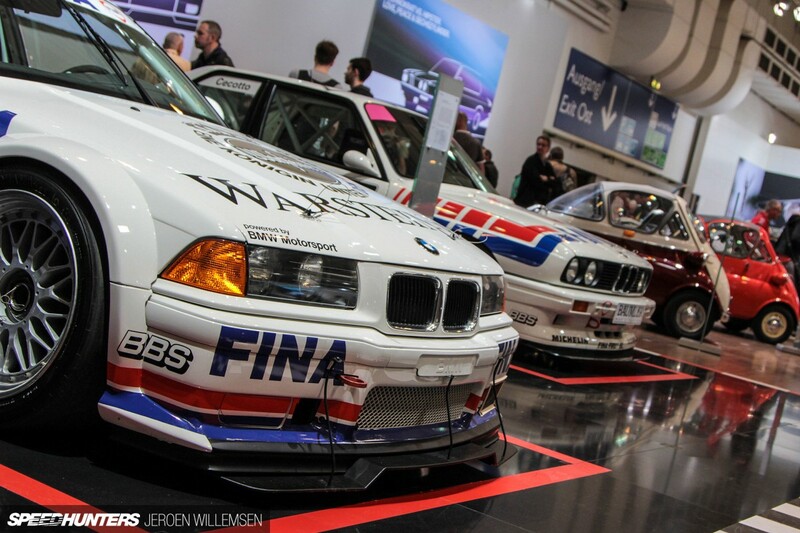 Pretty cool to see Johnny Cecotto's DTM car still in existence. So many amazing cars!!! Need more please :D.
That 911 HLS is something else!! I wonder what Nakai-San could do with it? Could somebody explain the orange bumper Porsche thing to me. Was that an element of a racing livery back in the day or something? BastienBochmann Thanks Bastien, for now it's just this one time deal. UWerqxTeam_MJ just DO NOT put a LS. Sure was. Can't believe the author is crediting Magnus Walker for it. I have been waiting over a year to see a full spotlight on the DP Motorsports Red 911. The panel gaps and flush mounted windows should be a clue to any who haven't heard of this car, prepare to be blown away! You ask and I deliver. Not the greatest quality ever, but good cameraphone stuff nonetheless. 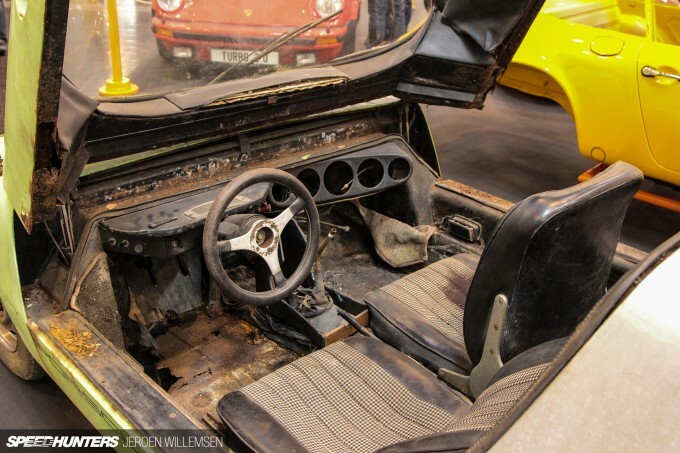 Seriously, Magnus Walker? Was the person that wrote this born yesterday? @Jeroen Willemsen Will there be a third part? Oh, didn't know about that. Sorry, my bad. At least I learned something new today, thanks!